Orbital ATK’s Cygnus resupply ship with its cymbal-ike UltraFlex solar arrays approaches the International Space Station’s robotic arm Canadarm2 as both spacecraft fly into an orbital sunrise on November 14, 2017. The cargo craft carried almost 7,400 pounds of crew supplies, science experiments, spacewalk gear, station hardware and computer parts. New research will explore the effectiveness of antibiotics on astronauts and observe how plants absorb nutrients in microgravity. Other experiments will deploy CubeSats to explore laser communications and hybrid solar panels. 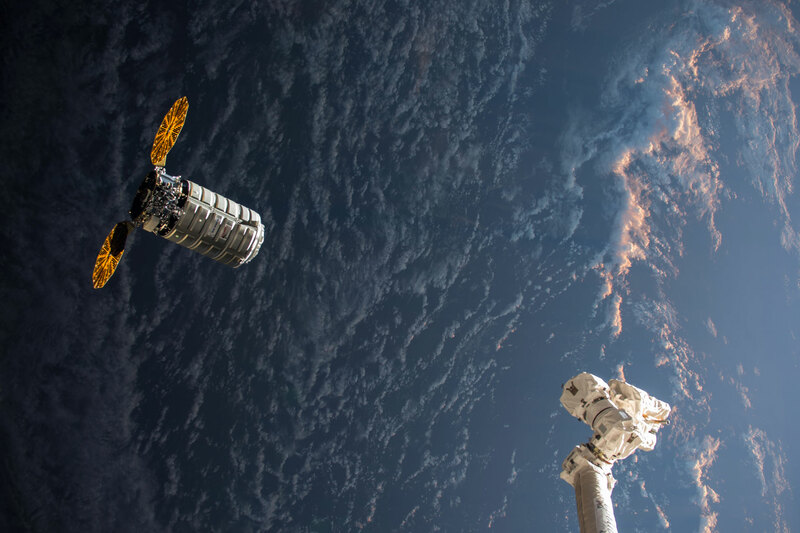 Be the first to comment on "Image of Orbital ATK’s Cygnus Resupply Ship Approaching ISS"